Title: 'Kent', sold by Bassett & Chiswell. From the 'Theatre of Empire Great Britain'. 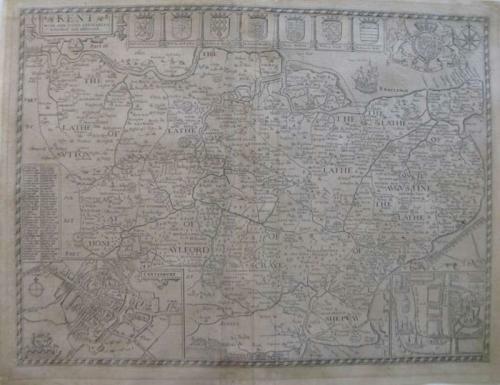 An uncoloured engraved map of the entire county of Kent with an ornamental title cartouche, and armorials. The condition is good, with some paper repairs to the centerfold and lower margin (reflected in the price).